Veggie Buds Club is a monthly subscription for kids ages 3-6 that sends out fun and hands-on learning activities featuring a new veggie each month! 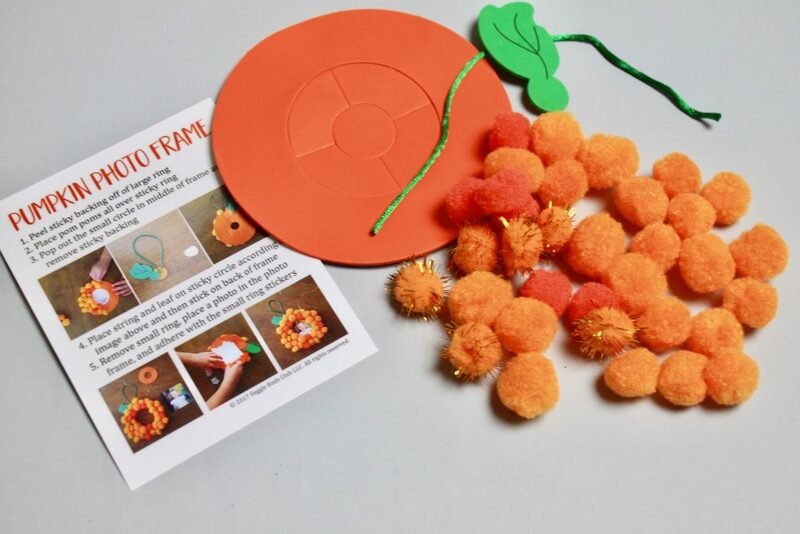 Activities usually include growing a veggie, an arts and crafts project, a simple recipe to prepare with your kids, an activity book and a veggie game. 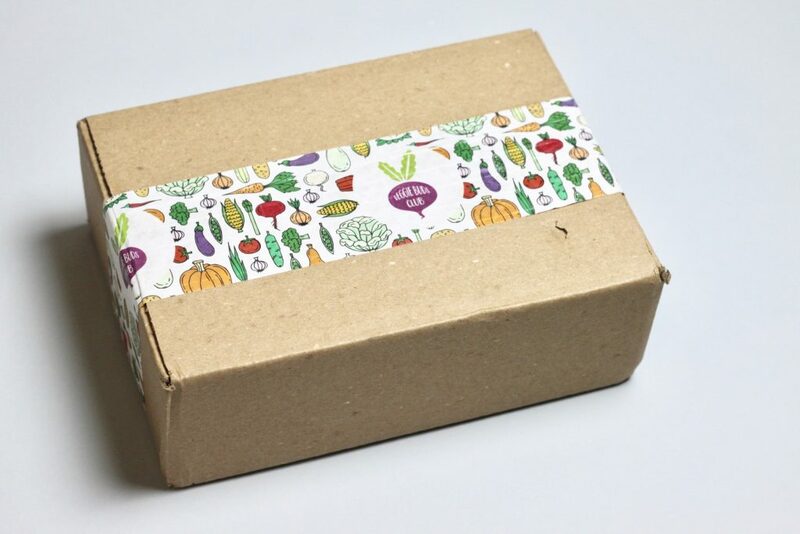 *Disclosure: Veggie Buds Club kindly sent me this box for review purposes. However, all opinions expressed in this post are 100% mine. 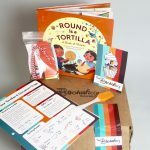 Veggie Buds Club – $16.00/monthly + free shipping (reduced subscription rates with 3 and 6 month plans. 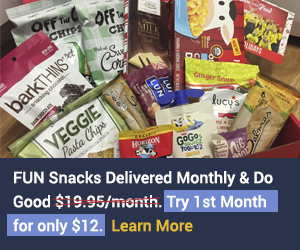 Veggie Buds Super Club – $26.00/monthly + free shipping (reduced subscription rates with 3 and 6 month plans). 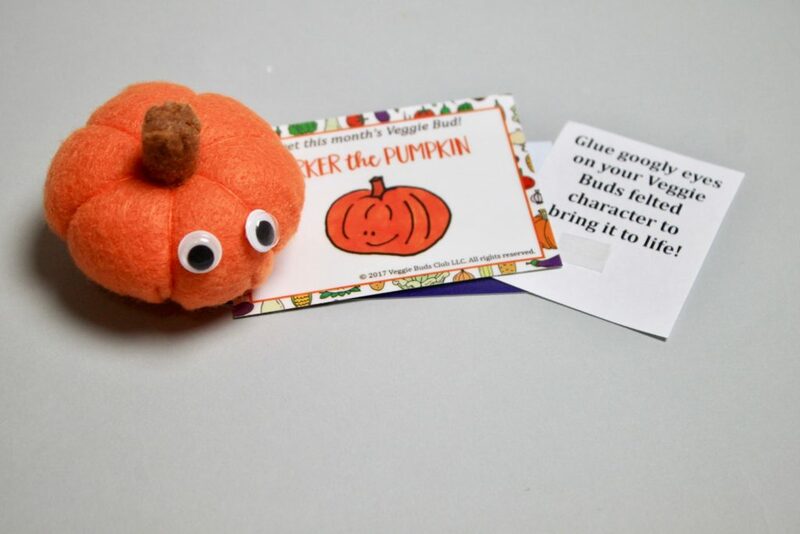 *With Veggie Buds Super Club, you also receive a book and a felted Veggie Buds collectible toy. This review is for Veggie Buds Super Club. I have to say that I was super impressed with how everything came neatly packaged into separate bags – making it so much easier to follow through. Let’s get into our box now. 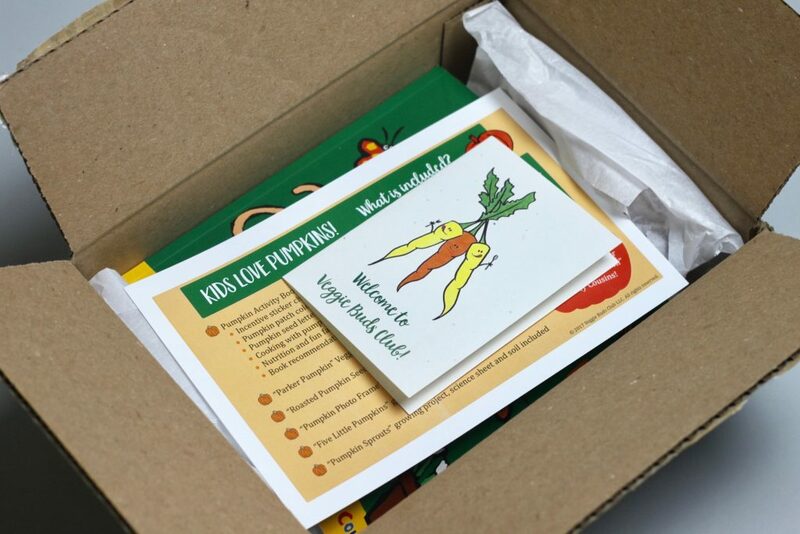 You get a handy dandy information card listing everything included in the box! 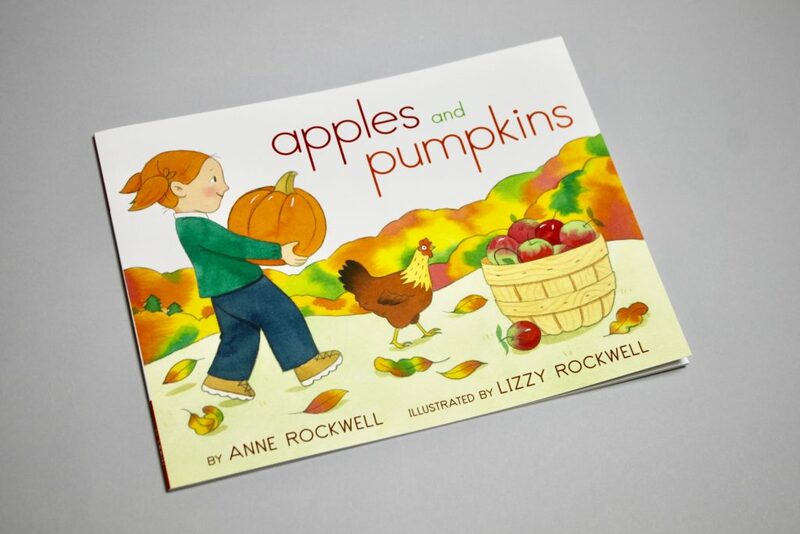 The book included this month is Apples and Pumpkins by Anne Rockwell. 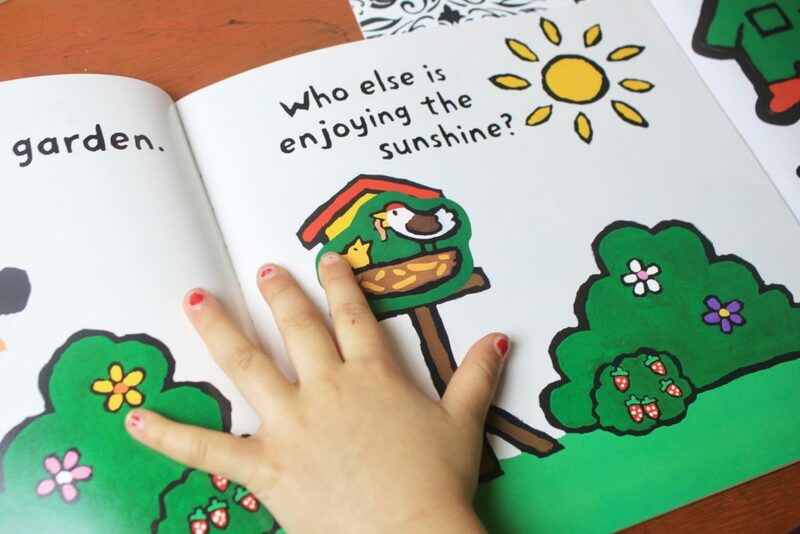 We thought it was a fun and easy read. 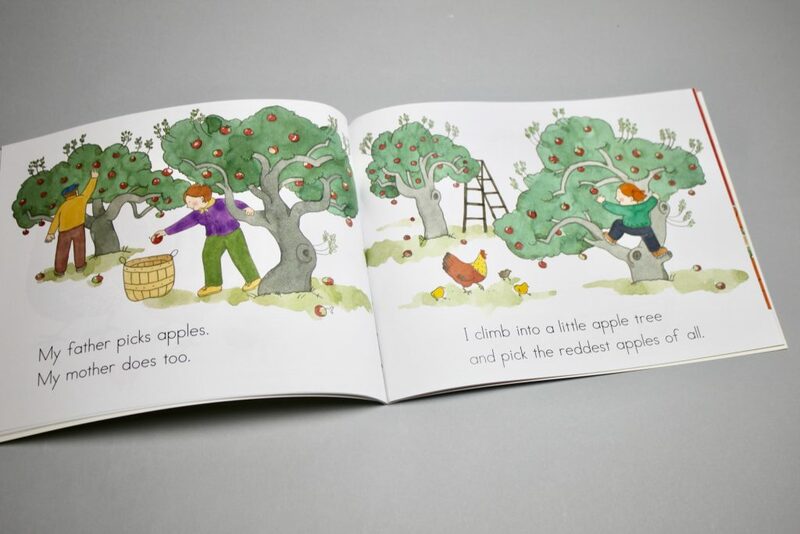 Perfect for the 3-6 year old crowd, and the older kiddos can easily read it out loud as well. 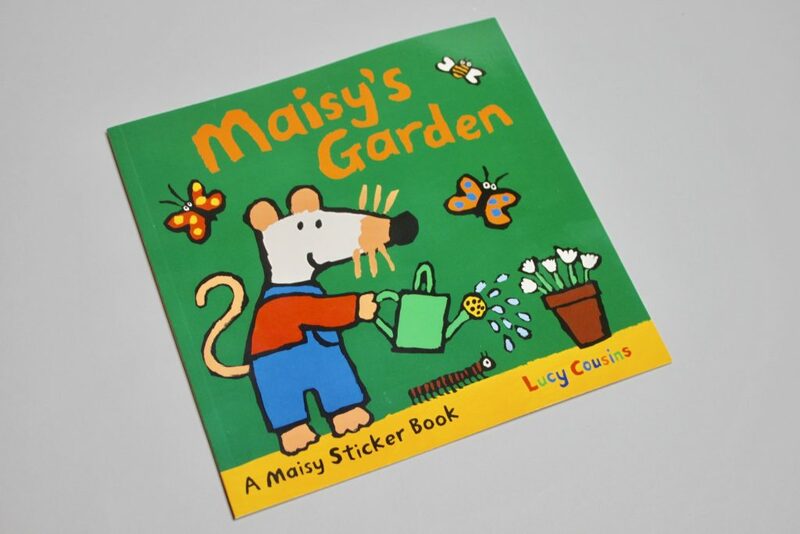 The sticker book for the month was: Maisy’s Garden. I have to say that my daughter truly enjoyed playing with this. 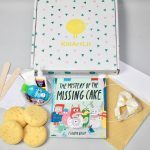 I thought this was such a fun activity book as it allowed the kids to think outside the box and come up with solutions using stickers. Next we went onto making our photo frame. 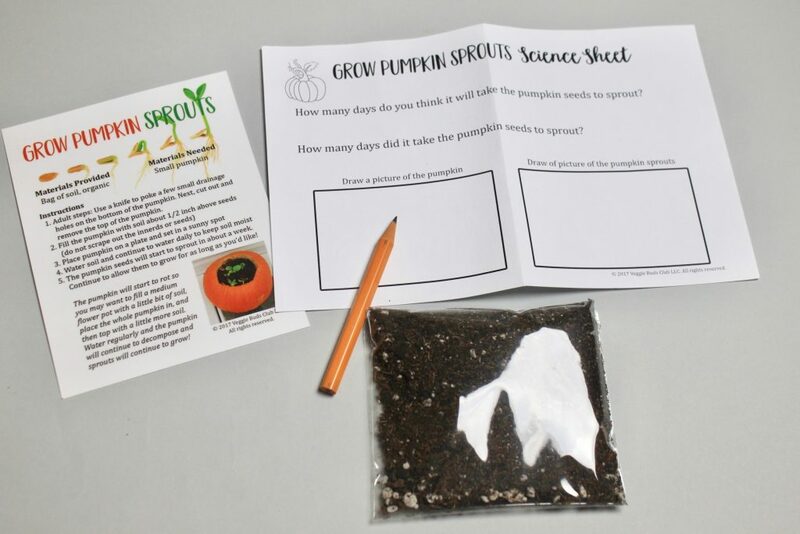 A great hands-on activity that comes with all the supplies needed other than your kids’ photo of course. 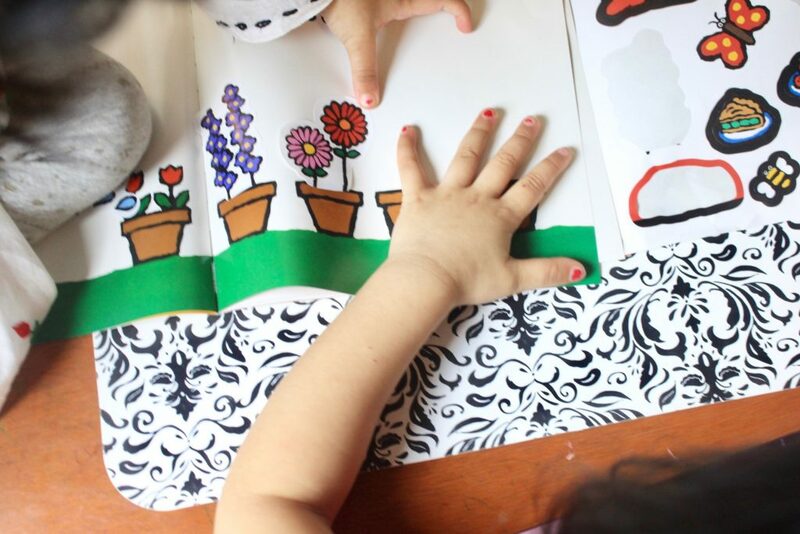 Sadly, we did not have a photo printed or on hand, but the frame has been hung around in their play room already and we can’t wait to put a picture there! 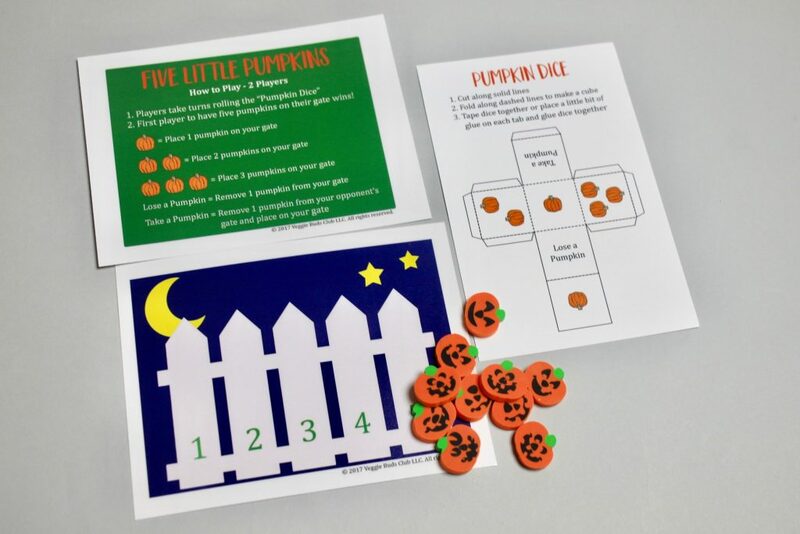 A fun game that incorporates pumpkins into the concept of counting and learning numbers! 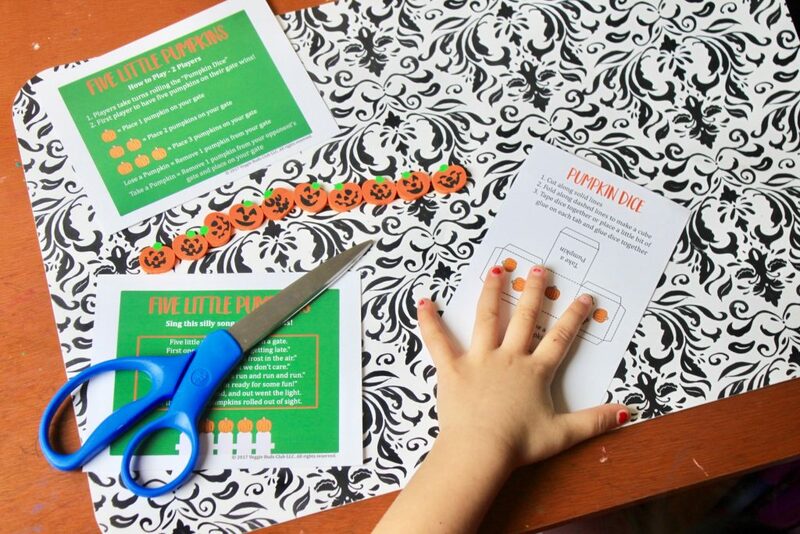 You get all the supplies to get started with the game other than scissors. 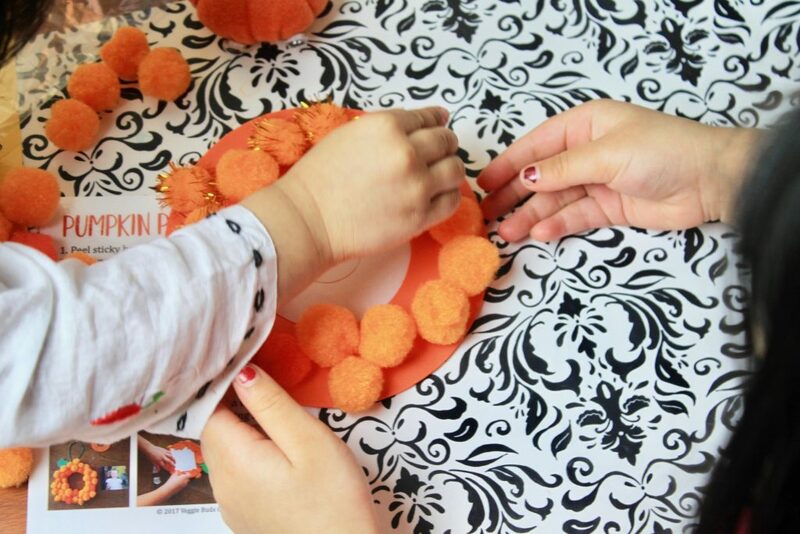 I helped out in cutting out and creating our pumpkin dice. 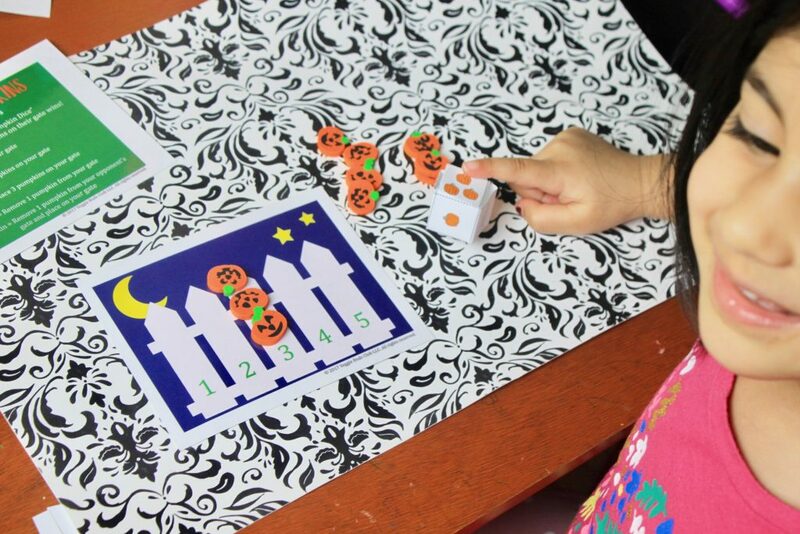 Pretty cool idea when compared to a regular dice – this way the kids can actually see the # of pumpkins on the dice. My 3-year-old rolled the dice and aptly recognized and put in the amount of “pumpkin erasers” on our counting board. This was super fun and educational at the same time. 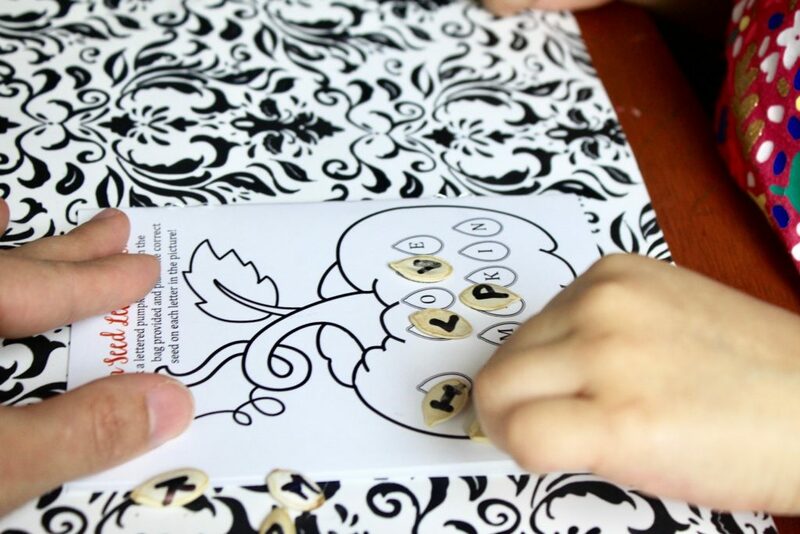 This activity was all about matching and recognizing letters and some stickers fun. 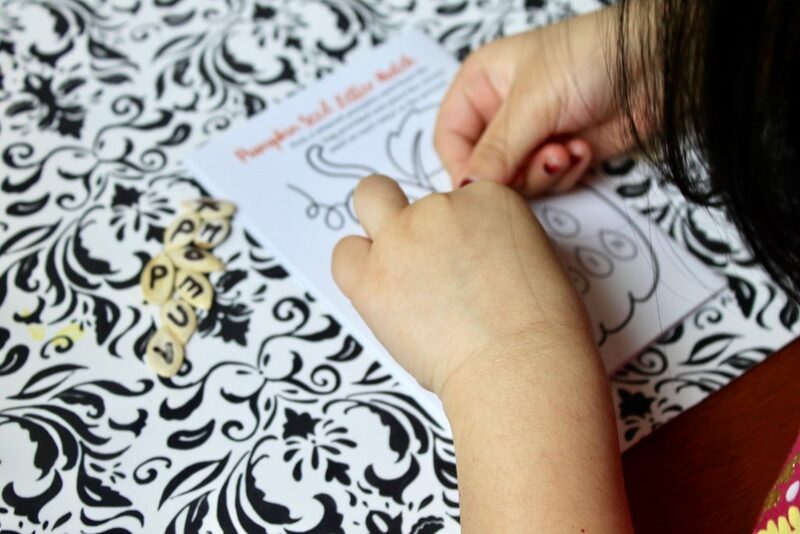 What a neat idea to incorporate real pumpkin seeds into this project – I wrote out the letters on the seeds and my 3-year-old matched it on our activity book to the sentence “I Love Pumpkin”. Since we are also learning to put together sentences, this was a great little learning and hands-on activity. 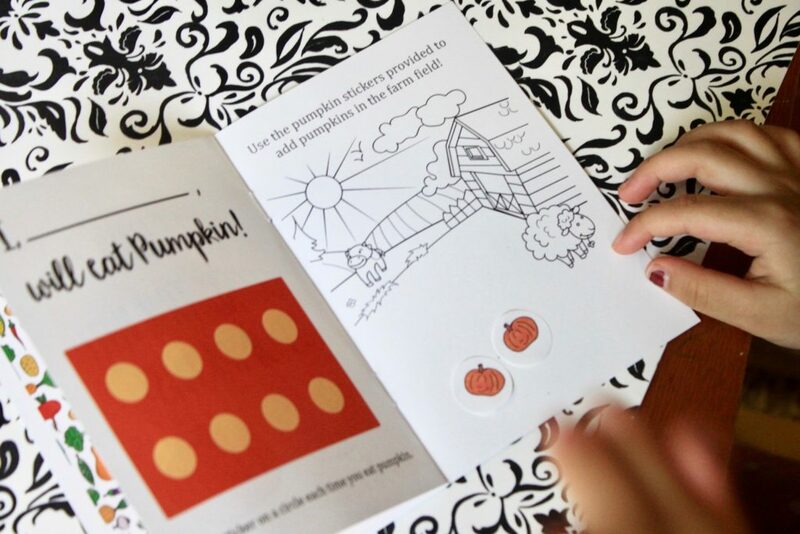 We also added in the pumpkin stickers to the farm picture and later colored it in. 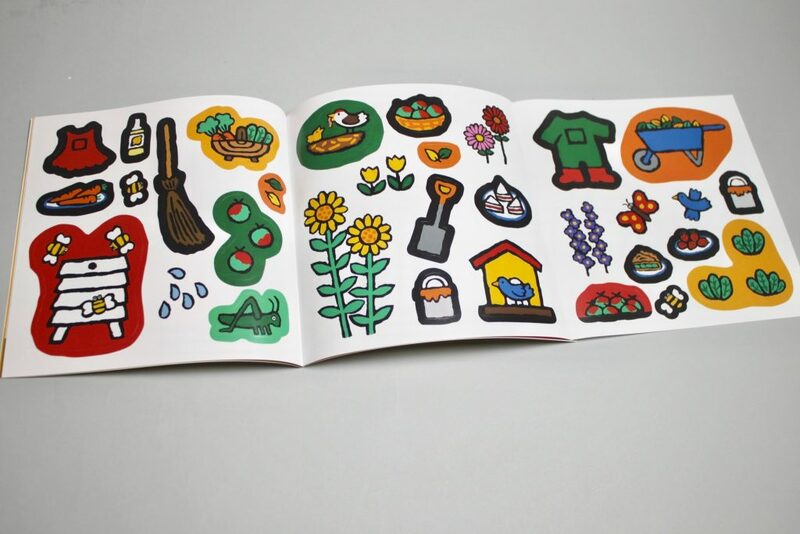 I love the chart provided on the other page that came with its own set of stickers to keep track of when your child eats that particular veggie. 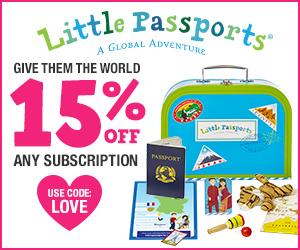 Great way to create some excitement with the incentive of putting stickers on! You also get a kid-approved recipe that is easy enough for kids to help out with. 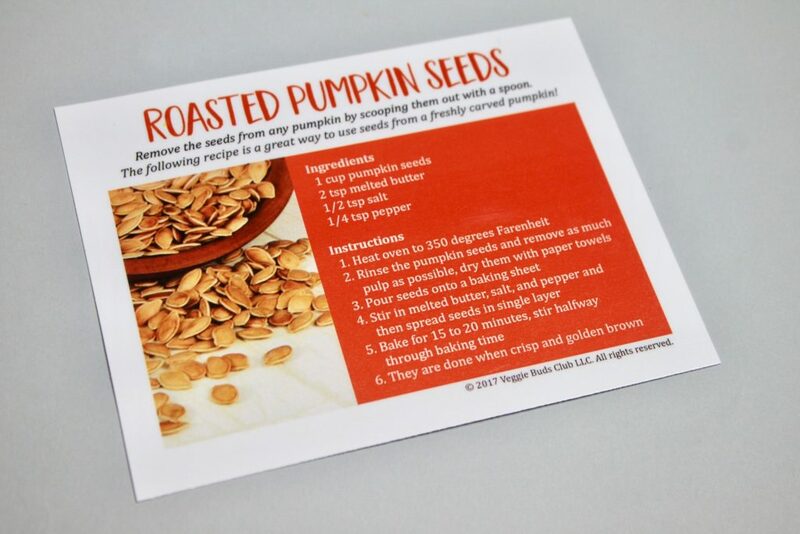 We can’t wait to make our own roasted pumpkin seeds on the weekend once we have our pumpkins! 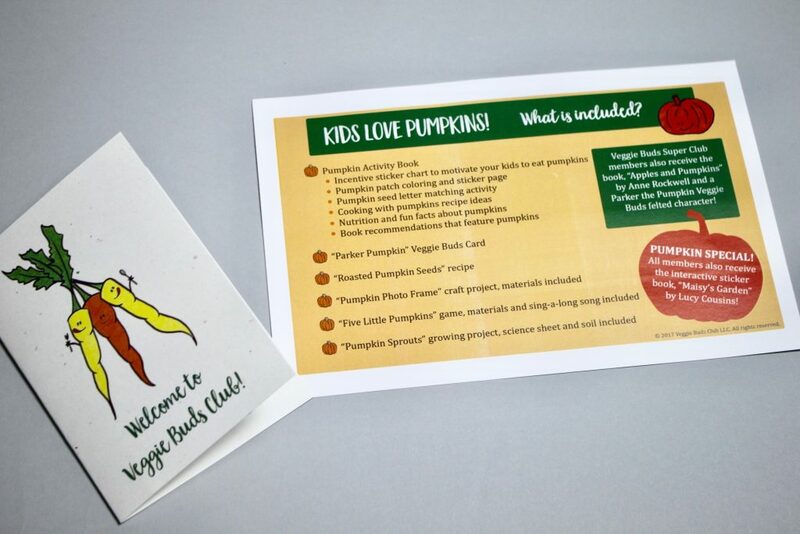 Overall, Veggie Buds Super Club turned out be a fun and educational box for my kids! 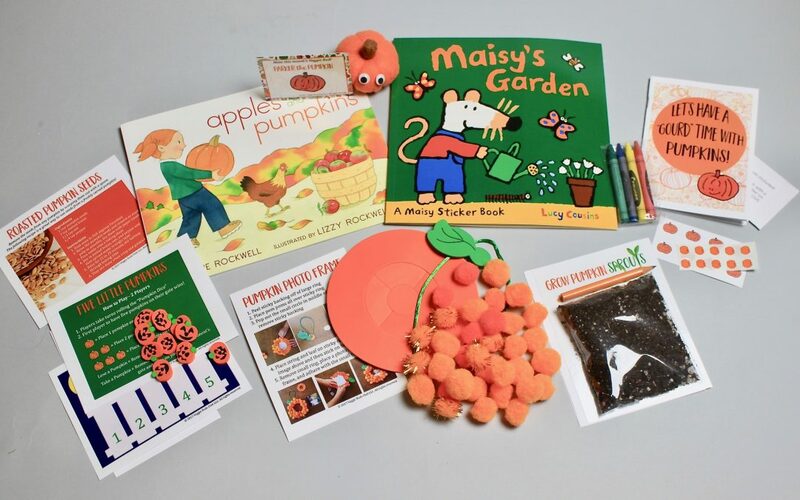 I also have to say that this is definitely one of a kind subscription that specifically focuses on veggies to get kids excited about them. 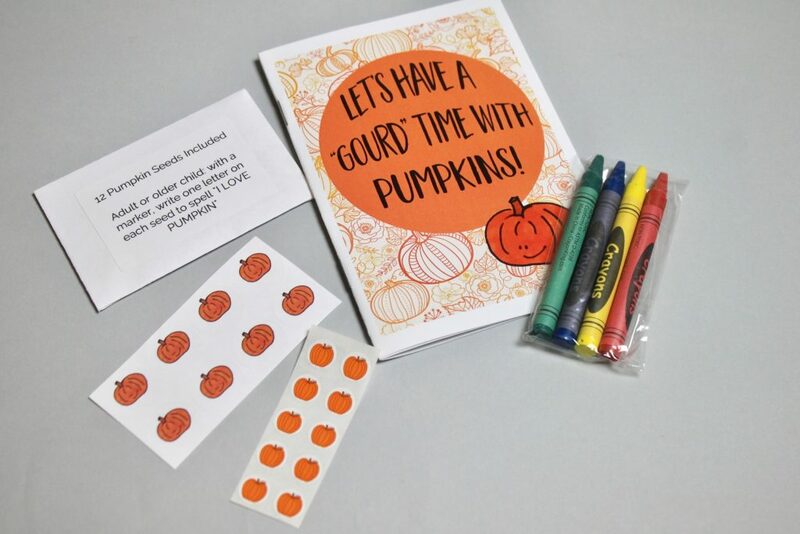 My kids loved the plethora of activities included in the box – especially the sticker booklet, Five Little Pumpkins game, and the Pumpkin Photo Frame. I was also very impressed with how each and every activity incorporated and reinforced the chosen veggie of the month. I am sure this is going to get even the pickiest of eaters excited about their veggies on the plate everyday. 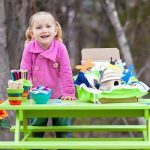 Don’t forget to check this one out mamas! 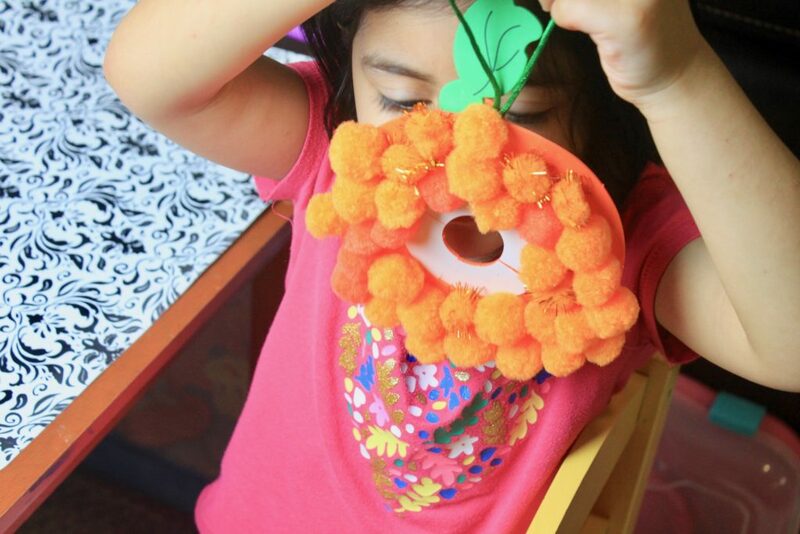 Fantastic way to instill the love of veggies within kids!